Notes……the crispy is where it gets really, really good. 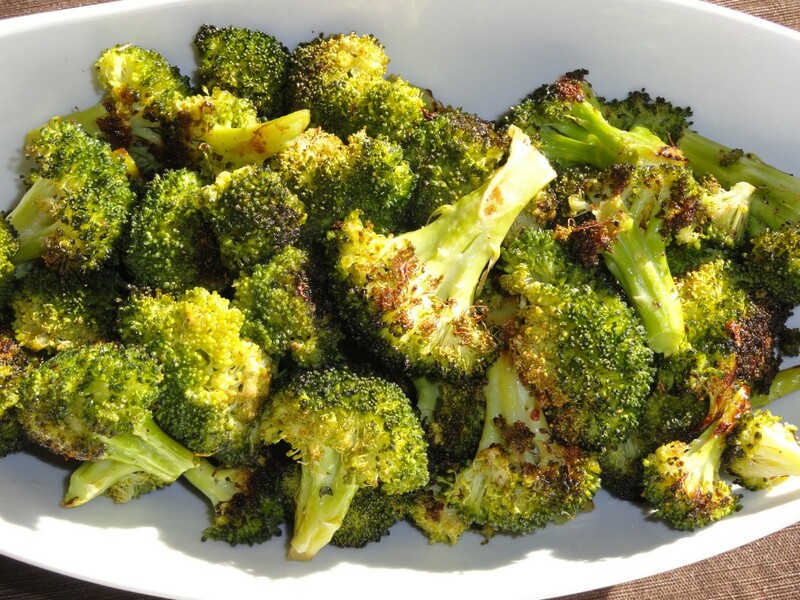 Do not be afraid to let the broccoli roast until almost burned. Actually, a few burnt edges is just about perfect. Yesterday I found myself with the final leftovers of a veggie tray that included broccoli and cauliflower. Usually I just eat these raw as I’m not a fan of their texture when steamed. I was putting some potatoes and carrots in the oven though and, remembering this post, I decided to add the broccoli and cauliflower to the pan. Wow! I loved the result! For once I actually enjoyed eating my broccoli;) I’ve shared the idea with everyone I know and they are all excited to try it too.